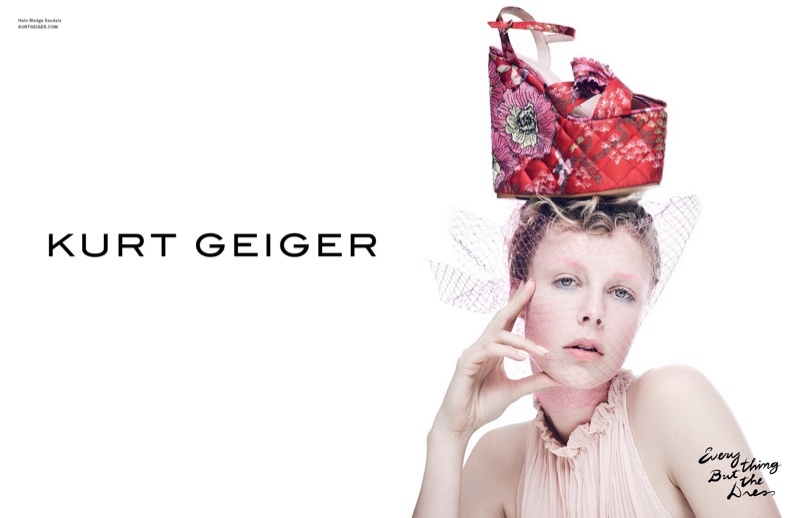 Shoe and accessories brand Kurt Geiger turns up the opulence in its spring-summer 2017 campaign. Starring model Edie Campbell, the images feature the British beauty in luxe looks to match with the embellished footwear designs. Photographed by Erik Torstensson, the Edieposes with tulle tops, a curled coif and bold makeup. 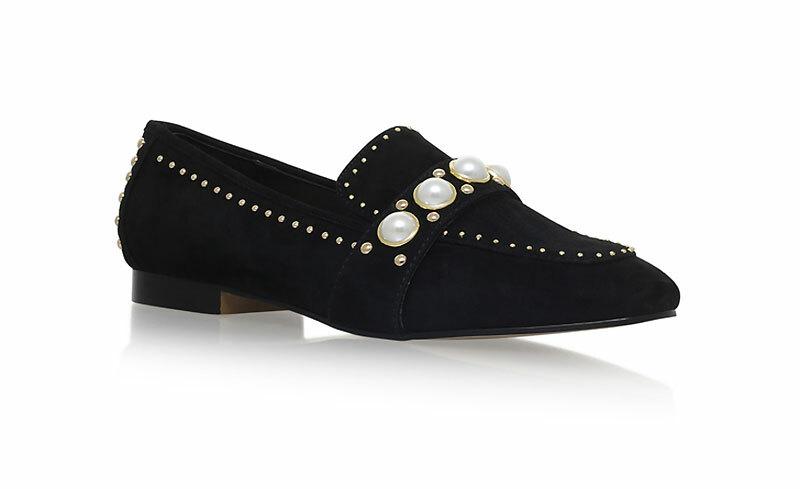 In one shot, Edie poses with the Kascade brocade mule on her head. While another features the Halo wedge sandals in red. 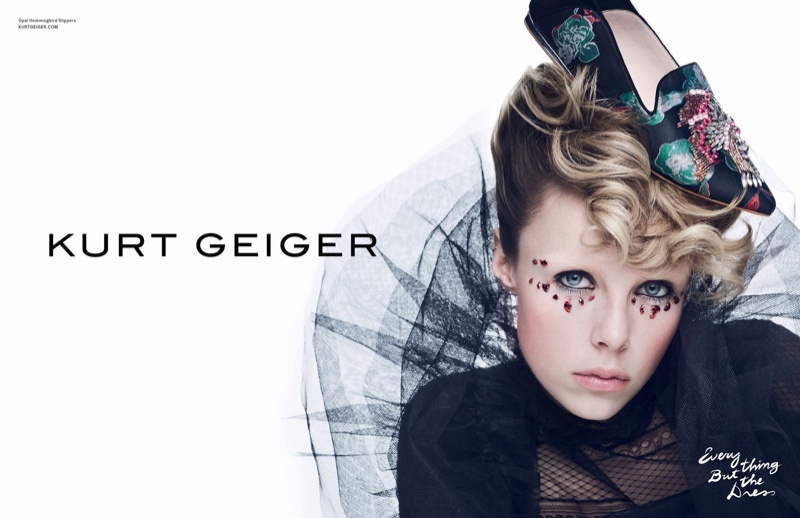 “Edie Campbell Gets Opulent in Kurt Geiger’s Spring 2017 Campaign.” Fashion Gone Rogue. 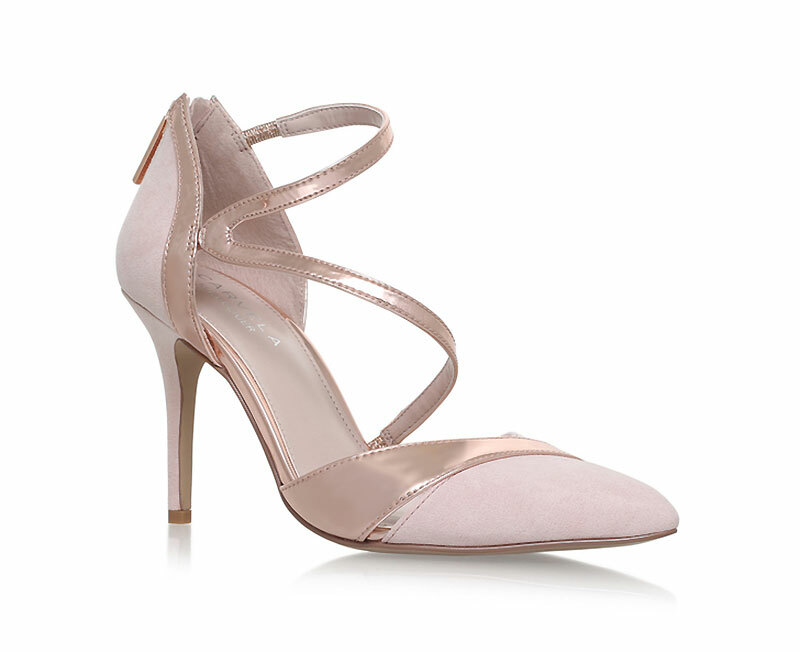 http://www.fashiongonerogue.com/kurt-geiger-spring-2017-campaign/.